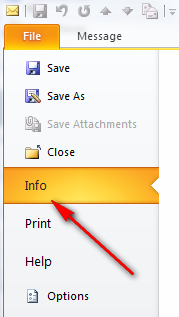 Open the e-mail for which you wish to see the internet header information. 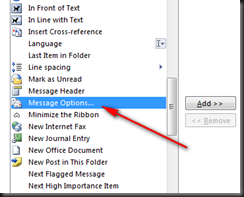 Alternatively, you can also add a button to show Internet Headers to the Quick Access Toolbar (QAT) at the top of the e-mail window. 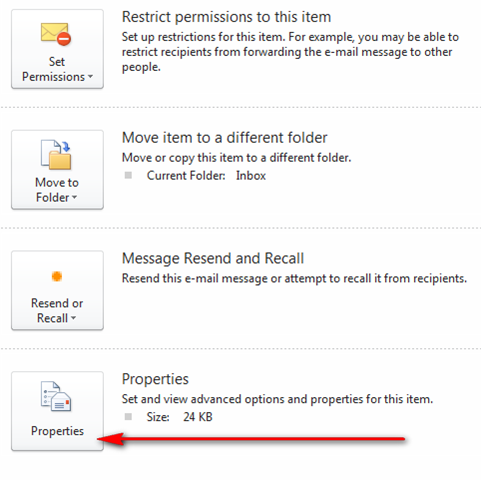 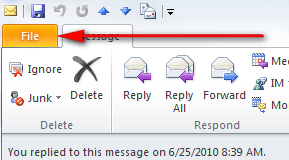 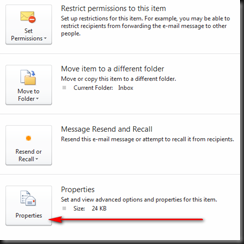 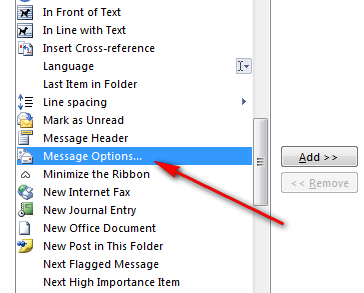 Click the small down arrow in the top left of the main window of an open e-mail.